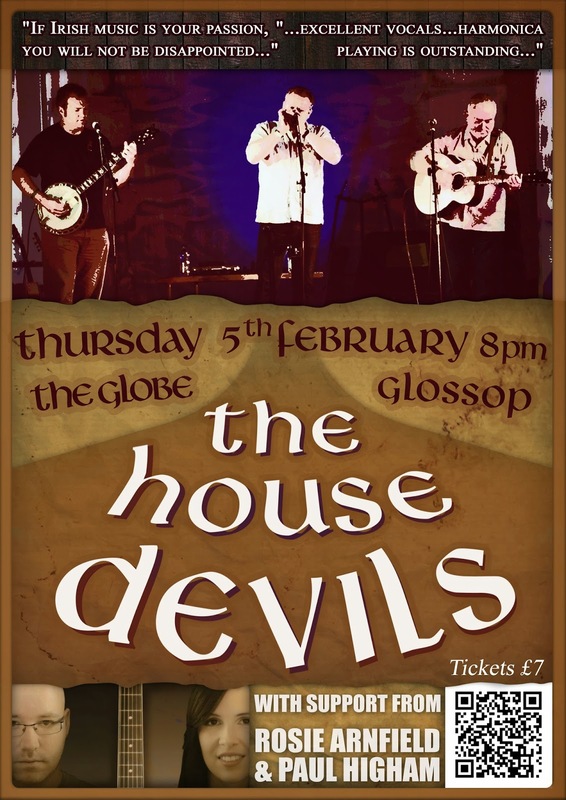 Four piece band The House Devils return once again to The Globe. A rich collection of Irish, English and American folk songs and tunes. 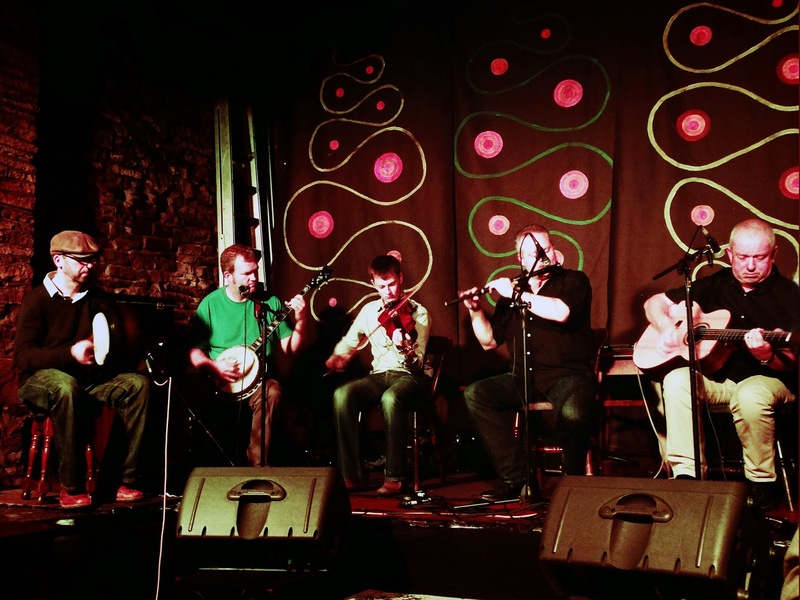 Songs of marital strife, the clash of country and town, loss and longing, emigration and of course the bright light of redemption are interspersed with brilliant sets of tunes and reels. Award winning Mat Walklate is an accomplished harmonica and flute player, a fine singer and uilleann piper. On guitar and vocals is the highly skilled Matt Fahey; one of the best interpreters of traditional song on these shores. Top bluegrass banjo player Jonny Hulme lifts the music with his soulful picking, alongside talented musician Laszlo Palko on percussion. Post by The House Devils. 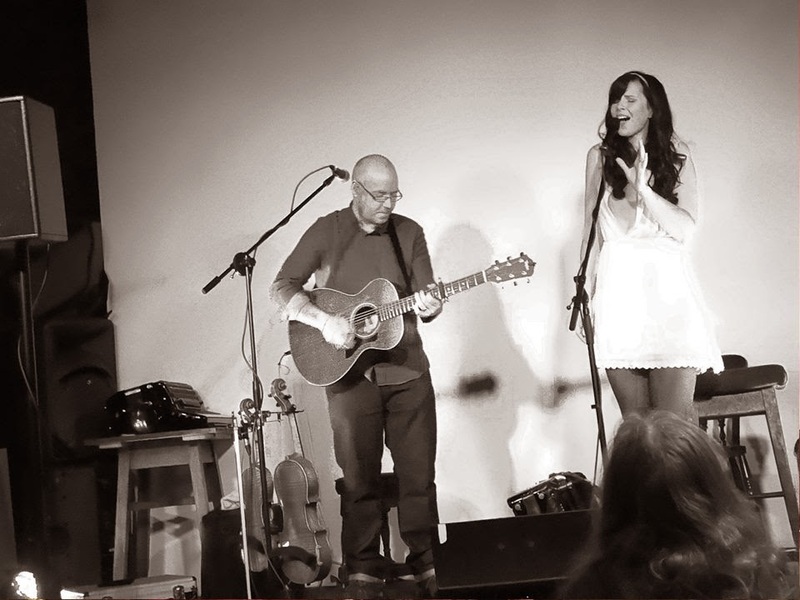 December headliners; local duo Rosie Arnfield and Paul Higham from Hadfield return to The Globe again with their harmonious duets and modern takes on a variety of classic songs.